The blood glucose diagnostic thresholds for gestational diabetes remain controversial. In the UK the National Institute for Health and Care Excellence (NICE) has published updated guidance for its diagnosis based upon a health economic analysis using local population datasets, and treatment effects estimated from published intervention trials. The resulting thresholds differ from those of the WHO, and in this issue of Diabetologia (DOI: 10.1007/s00125-015-3647-z), Meek et al have compared the impact of the two sets of diagnostic criteria on 25,543 pregnant women cared for at their unit in Cambridge, UK. This commentary discusses their paper and its implications for pregnant women in the UK. There are few areas in diabetes that provoke as much intense debate as the diagnosis (and management) of gestational diabetes (GDM). It is classically defined as ‘glucose intolerance with onset or first recognition during pregnancy’ , but the diagnostic thresholds of glucose intolerance defining GDM are legion, vary from country to country , and even from clinical unit to clinical unit. Moreover, the screening practices also differ widely, with targeted or universal policies; two stage using a prior challenge test, or one stage; 75 g or 100 g oral glucose challenge; and 2 h or 3 h glucose sampling periods [2, 3]. The UK National Screening Committee does not support universal screening and the UK National Institute for Health and Care Excellence (NICE) Guidelines recommend targeted screening [3, 4]. These are not trivial or arcane problems. First, the association of GDM (however defined) with later onset of type 2 diabetes in the mother has been known for decades . Second, its link to macrosomia in the fetus and polyhydramnios in the mother, and their association, in turn, with instrumental delivery and birth trauma are well established . Third, there is a correlation between increased birthweight and development of hypertension, obesity and diabetes in adult life . Thus, the establishment of valid and acceptable diagnostic criteria for GDM is clinically very important. The publication of two large and well-powered randomised controlled trials (RCTs) of the management of GDM that demonstrated clinical benefit in women who would not ordinarily be diagnosed by the then current WHO criteria [6, 7], and the Hyperglycaemia and Adverse Pregnancy Outcomes (HAPO) observational study of pregnancy outcome in women with a standardised assessment of their glucose tolerance , has informed the debate and moved it from an eminence (opinion) to evidenced basis. HAPO described the results of a three point 75 g OGTT performed between 24 and 32 weeks gestation in 25,505 women from 15 centres in nine countries . Caregivers were blinded to the results of the OGTT unless the 2 h value was ≥11.1 mmol/l, or the fasting blood glucose level was ≥5.8 mmol/l. The data showed a strong, continuous association of maternal blood glucose levels at fasting, 1 and 2 h post glucose loading with the primary endpoints of large for gestational age (LGA; birthweight >90th centile), primary Caesarean section (CS), clinical neonatal hypoglycaemia and cord blood C-peptide (indicative of fetal hyperinsulinaemia). Secondary outcomes were delivery before 37 weeks gestation, shoulder dystocia or birth injury, need for neonatal intensive care, hyperbilirubinaemia in the infant and pre-eclampsia. There were positive associations between maternal glycaemia and 12 of the 15 outcomes, being strongest for pre-eclampsia, shoulder dystocia and birth injury. There was no obvious blood glucose break point in these associations. However, universal consensus is lacking, and in the USA the American Diabetes Association has adopted the IADPSG criteria , whereas the National Institutes of Health  and the American College of Obstetricians  have not. Moreover, the IADPSG thresholds would diagnose many more women with GDM, which would likely have significant resource implications for healthcare systems, as well as increasing the stress and psychological impact on the woman. In addition, no health economic analysis was provided in the original publication. In the UK, NICE undertook a review of the diagnostic criteria for GDM as part of an update of the Diabetes in Pregnancy clinical guideline which was published in early 2015 . A comprehensive review with health economic modelling was performed using a wide range of glucose thresholds, and the results published in the full guideline. The following outcomes were prioritised by members of the guideline group by selecting those that were felt to be of the most clinical importance for the mother and baby: shoulder dystocia, CS, neonatal jaundice, pre-eclampsia, induction of labour and neonatal intensive care unit admission. Fetal hyperinsulinaemia was also thought to be of great interest and importance but there did not appear to be any long-term natural history studies to map to hard clinical outcomes. There were also no RCT data on treatment effect for this outcome. LGA and macrosomia were thought to be important from a health economic perspective in terms of their relationship to shoulder dystocia and Caesarean delivery and were therefore not modelled separately. As a part of this process a call for evidence was circulated and two datasets were used comprising 18,974 pregnancies (including 6,221 from the HAPO centres in the UK and Australia) in which all three time points for blood glucose from an OGTT were available. The result of this analysis failed to support the cost effectiveness of the IADPSG criteria. Diagnostic thresholds of a fasting glucose of ≥5.6 mmol/l and a 2 h post 75 g glucose load of ≥7.8 mmol/l were felt to be best supported by the health economic analysis. In this issue of the journal, Meek and colleagues  have contrasted the outcomes of 25,543 consecutive live singleton births from a single centre in Cambridge, UK, using the IADPSG and latest NICE diagnostic criteria for GDM (the various diagnostic criteria are shown in Table 1 of the paper ). The authors found that 167 women would have been diagnosed using the lower IADPSG fasting glucose criteria of ≥5.1 mmol/l, and that they had higher risks for an LGA infant, CS and polyhydramnios compared with women who did not undergo an OGTT (adjusted ORs 4.47 [95% CI 3.15, 6.33], 1.71 [95% CI 1.22, 2.39] and 4.67 [95% CI 1.83, 11.89], respectively). They conclude that IADPSG criteria identify women at risk of complications who would be missed by the NICE criteria; and they estimated the number needed to treat (NNT) to be 5.8 for the prevention of one case of an LGA infant using the lower fasting blood glucose threshold of ≥5.1 mmol/l. There are several important factors that need to be considered when reading this paper. First, as the authors acknowledge, this is a retrospective analysis, which makes the NNT estimation highly speculative. Moreover, the diagnostic thresholds for GDM changed during the study period and both plasma and whole blood samples were used at different times. Both of these factors may have influenced clinical practice and introduced bias. Third, the screening policy in Cambridge involved a random blood glucose at 12–16 weeks in around 70% of the whole cohort, and a 50 g oral glucose challenge test at 26–28 weeks in all women without a current or previous diagnosis of GDM. As a result, 3,848 women underwent an OGTT, giving an overall prevalence of GDM of only 4.13% (NICE) and 4.62% (IADPSG). The current and previous NICE guidance uses targeted screening , and using the UK/Australia HAPO dataset 18.4% would have been diagnosed as GDM by the IADPSG criteria and 13.3% by the NICE criteria. At least 1,453 Black and Asian women in the Cambridge report who never had an OGTT would have been offered one using the NICE criteria. This raises a question as to whether the screening process in Cambridge is part of the explanation for their results and whether this accounts for the relatively high CS rate in their women diagnosed with GDM. Either way, it is not really possible to draw conclusions with regard to the NICE vs IADPSG criteria unless one uses the same selection criteria. Fourth, the rates of LGA infants and CS are high compared the original HAPO dataset. In HAPO , for the fasting blood glucose categories 5 and 6 (5.0–5.5 mmol/l) the rates were 16.9% for LGA and 23.8% for CS vs 37.7% and 43.7%, respectively, for the Cambridge cohort (fasting glucose 5.1–5.5 mmol/l). These very high rates may reflect the relatively small number of women diagnosed with GDM. In addition, it is important to point out that CS rates were either not reduced (31% vs 32%)  or only slightly so (26.9% vs 33.8%)  in the RCTs and are thus less amenable to intervention. Finally, Meek et al  provide no data on shoulder dystocia, and there were (mercifully) few stillbirths in the GDM population. Both of these outcomes strongly influenced the NICE analysis. The authors cite a recently published paper that purports to show cost effectiveness of the IADPSG criteria in a Spanish population . 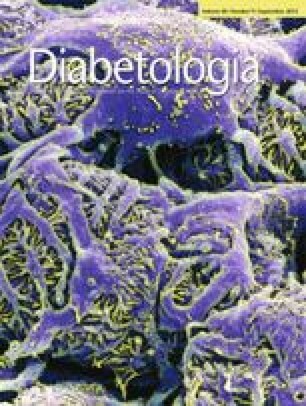 However, there are real concerns about the validity of the health economic analysis in this paper, which is based upon an historical analysis comparing the two-stage glucose challenge test/100 g OGTT Carpenter–Coustan diagnostic protocol with the more recent adoption of the IADPSG criteria. It was published before the NICE guidance, so it is not possible to draw conclusions as to relative cost effectiveness. Despite these comments, the NICE criteria are certainly not the last word; rather, they are an evidence-based attempt to shed light and try to contribute to the debate around the diagnosis of GDM. To that end, the paper by Meek et al  is a very welcome start point to get clinicians thinking about the problem. An important factor that is lacking in all of the analyses is that of the psychosocial impact that a diagnosis of GDM has on the woman and her experience of her pregnancy. At the very least it will mean more clinic attendances, more scans and the intrusion of the paraphernalia associated with blood glucose monitoring. The reported experience of the women in the intensive arm of the Australian Carbohydrate Intolerance Study in Pregnant Women (ACHOIS) study is reassuring , but as we make more diagnoses of GDM we must keep the woman at the centre of our care pathways, which will mean providing a good deal more support. When I was asked to write this commentary the associate editor commented that it is shocking that something so common, with such important implications for both mother and baby, is so poorly understood. I completely agree but I think there have been major advances in the last 7 years since the publication of HAPO. Hopefully the next 7 years’ worth of endeavour will provide some answers, but in the meantime we should base our clinical practice on robustly analysed data, which must include consideration of costs, both economic and those personal to the woman for whom a diagnosis of GDM is no trivial matter. RB was chair of the Guideline Development Group for the revision of the NICE guideline CG3 Diabetes in Pregnancy. This commentary was undertaken by Professor Rudy Bilous who received funding from the National Institute for Health and Clinical Excellence. The views expressed are those of the author and not necessarily those of the Institute. He has no other relevant conflicts of interest. The author is the sole contributor to this article.